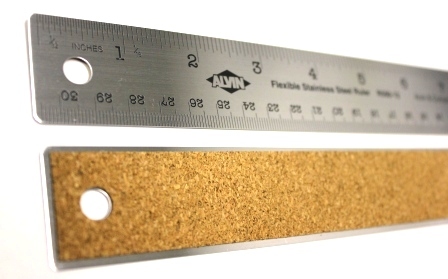 Flexible stainless steel rulers with cork back. Raised outer edges are ideal for inking. These rulers are very popular with printers and graphic artists.